This is Lionel, in the vineyard, holding it’s bounty. 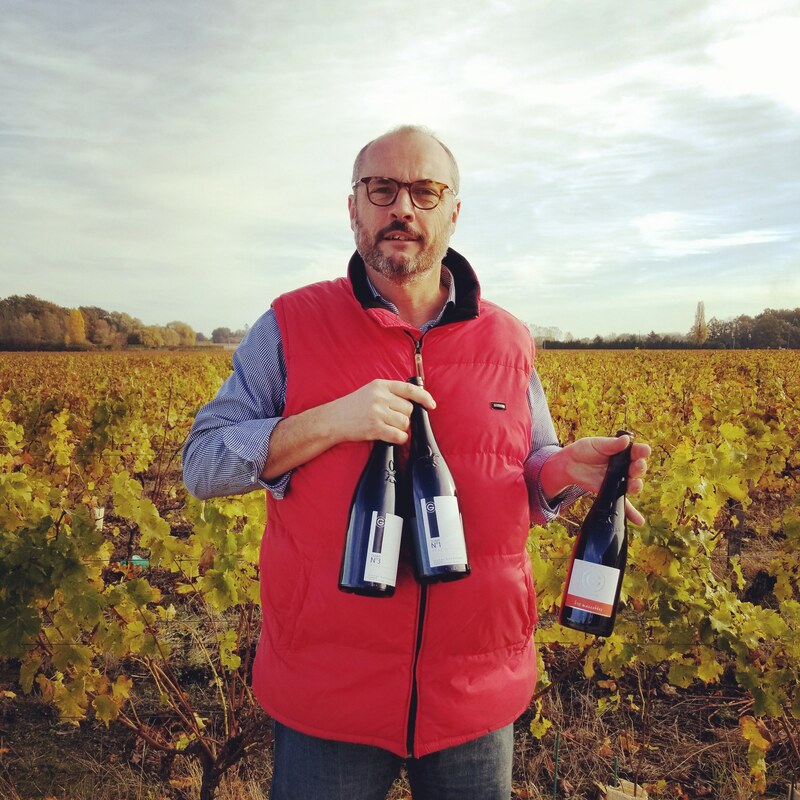 Lionel Gosseaume is the son and grandson of winegrowers. He grew up in his family’s vineyard, but spent most of his adult life as far away from the vines as possible. In 2007 the call of the vines proved too strong and he returned home and acquired his own 22 acre vineyard from his father’s friend, Jean-Claude. Jean-Claude lived for his vines and he still works in the vineyard today, teaching Lionel what he has learnt in a lifetime in winemaking. To make lovely wine, you naturally have to manage the winemaking process, but first you need to know every acre of your vines so you can grow wonderful grapes. The vineyard is located in the Loire Valley, halfway between the famous Châteaux of Chambord and Chenonceaux, in the AOC Touraine. It is planted mainly with the aromatic grape, Sauvignon Blanc (75% of the vines) and with the fruity red grape, Gamay (20%). But it also includes two very rare white varieties: Mesliers Saint François and Menu-Pineau, which had almost disappeared from France.